Few realize the role corporate lawyers have played in shaping the past 150 years of world history. Sullivan & Cromwell is perhaps the most infamous example. It oversaw the birth of the multinational corporation and launched coups in third world countries decades before there was an OSS or CIA. It was a key player in building up the German war machine. It helped shape international law allowing the holocaust to occur. Its ties to Germany led it to commit treason helping Germany undermine America’s war effort. It undermined all attempts to reign in corporate power. Its most notorious partners were John Foster Dulles, future Secretary of State, and Allen Dulles, the most influential CIA director in the agency’s history. Even before rising to those heights, the Dulles Brothers helped launch the cold war and helped the Nazis escape justice, while putting the Nazis’ German corporate backers, who made fortunes off slave labor and the Holocaust (as did their American and European partners), back into power. While in office the Dulles Brothers carried out the will of Sullivan and Cromwell’s clients by launching coups in Guatemala and Iran. Sullivan & Cromwell partners became Senators, Ambassadors, a Supreme court Justice. Sullivan Cromwell partners also sat on the board of directors of their clients the multinational corporations. Of course Sullivan & Cromwell was only one of the ignominious examples of the revolving door between the government and the corporate world. Other powerful corporate law firms that would provide the architects of the cold war included Carter Ledyard & Milburn (Frank Wisner who ran OPC and the CIA covert ops division) and the Donovan and Leisure firm (where OSS founder William “Wild Bill” Donovan was a partner). The Wall Street investment firm Dillon Read & Co was also highly influential, producing James Forrestal, Paul Nitze, and William Draper. In turn, these corporate lawyers were servants of even more powerful and wealthy robber barons and their heirs, like the Rockefellers and W. Averell Harriman. Their clients included oil cartels, and big investment banks who have been robbing the public for decades, like Goldman Sachs and Lehman Brothers. They also represented the nuclear power industry. Thus it will become clear that despite all the propaganda about freedom and democracy, American foreign and domestic policy has long been about servicing the business interests of multinational corporations. Sullivan & Cromwell is a case study in the intersection between Capitalism, Fascism, and Imperialism. I will rely on two main sources in this commentary. A Law unto Itself: The Untold Story of the Law Firm Sullivan & Cromwell by Nancy Lisagor & Frank Lipsius traces the history of the firm from the late Nineteenth Century to the 1980’s. The second is The Splendid Blond Beast: Money, Law, and Genocide in the Twentieth Century by Christopher Simpson, which provides a much more in-depth account of the Dulles Brothers’ role in shaping international law to allow genocide in Turkey, and the Nazi genocide of Jews, Russians, Poles, and other victims across Europe. It goes in-depth into the Dulles Brothers’ and corporate America’s relations with the Nazis before, during and after the war. Thus it is a fitting sequel to Simpson’s classic, Blowback, on America’s recruitment of the Nazis and their fascist allies after the war. Sullivan & Cromwell was founded by two men. The first was Algernon Sydney Sullivan, whose father was Jeremiah Sullivan, a Virginia lawyer who headed west and named Indianapolis. Indianapolis would much later play a largely unrecognized role in the history of intelligence as the home town of CIA men William Harvey, Richard Helms and Dan Mitrione, as well as the base of the “Five eyes” detective agency which was the democratic party’s private NSA (see Spooks by Jim Hougan). Algernon Sydney Sullivan married into the American aristocracy when he wed one of George Washington’s descendants. Sullivan gained fame for his talents at public speaking. He arranged a state funeral for former president James Monroe (of Monroe Doctrine infamy), and also spoke at the dedication of the statue for genocidal butcher George Armstrong Custer at West Point. In part, because of his fanatically pro-southern wife, and in part because he specialized in representing southern business interests, he was a defender of the Confederacy. He was even locked in prison at one point by Secretary of State Seward for defending captured southern pirates, prefiguring the firm’s later treacherous relations with Nazi Germany. He was released from jail just in time to win the case. Despite his horrendous political views, he was a good-natured sort of man, well liked by everyone, and paradoxically sponsored the first black lawyer to join the New York Bar. Shortly before his death he spoke out against the rise of corporate power at the foundation of the new Consolidated Petroleum and Stock exchange. This paradoxical pattern would later repeat itself when the firm was among the first to hire Jewish lawyers, which did not stop it from being deeply involved with the Nazis. Sullivan went through a series of partners and his business waxed and waned with the boom-bust cycle of capitalism until he recruited William Nelson Cromwell, who was only 25 at the time, to be his new partner. From that time on, Sullivan and Cromwell’s fortunes would continue to rise, long outliving its founders, and continuing ever more powerful into our own time. Cromwell’s father was a Union Officer killed at Vicksburg. While Sullivan worked in the public eye gaining the firm prestige, Cromwell worked behind the scenes for the same robber barons’ corporate empires Sullivan had publicly denounced. Cromwell’s early specialty was handling bankruptcies for his clients. His strategy was to delay repayment as long as possible. This endless delaying tactic would be used by Sullivan & Cromwell in many arenas. Soon Cromwell was overseeing the birth of the multinational corporation as a means to escape any regulation. He helped J.P. Morgan create US Steel for example. He was manipulating politicians and creating laws, like the tax shelters in New Jersey and Rhode Island, to foil early attempts at regulating the stock markets after the latest crashes. Sullivan died early on in 1887, leaving Cromwell to build the firm into the premier corporate law firm. He was representing railroads, banks, oil companies. He was working for J.P. Morgan, E.H. Harriman, the Astors, and other corporate dynasties. Sullivan & Cromwell, like other corporate law firms, was divided into associates and partners. It prided itself on hiring the top graduates from law schools who became associates working tirelessly in the hopes of making partner. The associates did much of the grunt work, briefing the partners before they met with their clients and working long hours doing endless paperwork. They competed as workaholics, as did some of the partners who went to early graves from stress or overwork. Even associates that later moved on to other firms, or into the corporate world, or politics, often maintained a strange loyalty to Sullivan & Cromwell, long afterwards forming a network that could be called upon for favors. Cromwell institutionalized this loyalty by holding a yearly re-union of all the former associates and even those who had merely applied but not been hired. The most famous of these was the future president Richard Nixon, who maintained friendly ties with the firm despite being rejected when he applied during the 1930’s. He actually thanked the firm for not hiring him when he became Vice President, musing that if they had hired him he would be a corporate lawyer and not Vice President. (Nixon would soon return to corporate law. His most famous client was Pepsi). As Vice President, he would work closely with Sullivan & Cromwell partners John Foster Dulles, then Secretary of State, and Allen Dulles, head of the CIA, supervising coups and covert wars. The firm would support Nixon who, according to Peter Dale Scott, was widely regarded as a Dulles mouthpiece when he was in Congress. Law Unto Itself provides a comprehensive study of all Sullivan & Cromwell’s partners and associates and their corporate clients. Cromwell’s greatest triumph, which would make him the most infamous lawyer in America, was the creation of the Panama Canal. Although Theodore Roosevelt usually gets the credit, it was Cromwell who masterminded the project. The French company that had built the Suez Canal had gone bankrupt trying to build a Canal in Panama. They hired Cromwell to salvage the project. It was a daunting task. Ironically, the United States, and especially the Southern states, had long sought to build a canal through Nicaragua (ironic because it is China that is currently trying to build a canal through Nicaragua, which the US is doing everything it can to stop, including a recent failed coup). Powerful political interests supported the Nicaraguan canal plan. Cromwell got around them by winning the support of William McKinley through his right hand man Mark Hanna. He hired journalist Roger Farnham to set up a PR firm and soon Sullivan & Cromwell had its own propaganda outlet. Farnham would go on to be Vice President of National City Bank and President of the Haiti Railroad. Cromwell even created the country of Panama itself. He masterminded a coup whereby Panama declared independence from Colombia and was quickly recognized by the US. The new government was made up entirely of employees of the Panama Railway company he had set up. He caused riots in Paris when he masterminded a scheme where big investors would be repaid while small investors received a pittance (a role Sullivan & Cromwell would play again and again through the decades). He did all this simply to establish himself as a major player on the world stage since the firm spent almost as much as it made to carry the scheme through. Eventually he would move to Paris living a life of luxury, hobnobbing with royalty. It was while working on the Panama deal that he hired John Watson Foster, the former Secretary of State, who masterminded the coup that toppled Hawaii’s Queen Liliuokalani and brought the island firmly under American control. He had also played a key role in building up American intelligence and was an early corporate lobbyist. Foster was the grandfather of the Dulles brothers. He also clerked for Sullivan back in Ohio in 1855. 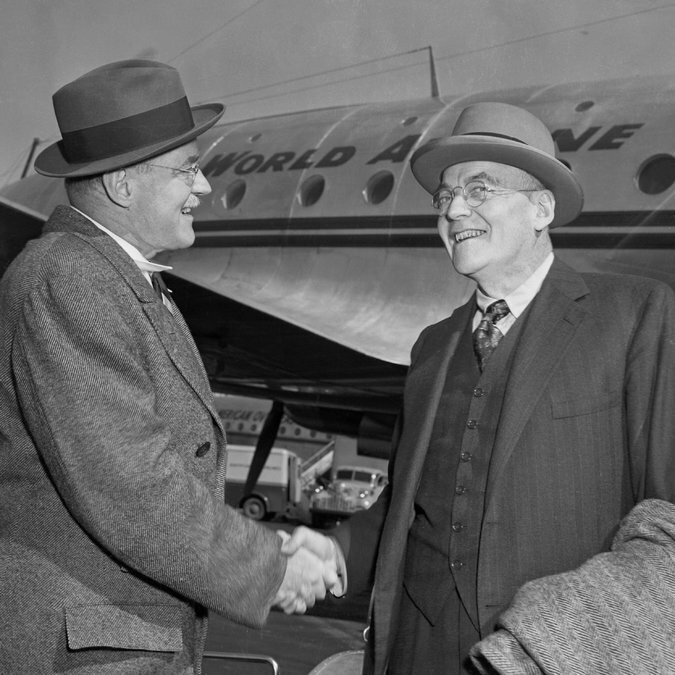 As a favor to John Foster, Cromwell hired John Foster Dulles, the man who would mastermind the next stage of Sullivan & Cromwell’s rise to power. John Foster Dulles was hired because of his political connections: he had known presidents, State Department officials and corporate tycoons since childhood. He was close to his uncle, Robert Lansing, who would become Secretary of State. One of John Foster Dulles’s first assignments was on behalf of Sullivan & Cromwell clients who owned Cuba’s lucrative sugar plantations. John Foster Dulles hoped to launch a coup but President Wilson vetoed the idea. Dulles was able to get the US to send an occupying force to save the sugar plantations that would remain in Cuba for five years. John Foster Dulles was excellent at flattering Cromwell and Cromwell also loved having Dulles in the firm because he was connected to world affairs. While most associates slaved away to become partners, Dulles effortlessly floated through school and then the firm. He later got his younger brother hired, but by this time, Allen was just as useful at the State Department. Both men traveled the world making connections that would serve them well in the decades to come. When World War I broke out Allen Dulles served in military intelligence while his brother was on the War Trade Board. When the war ended, Robert Lansing, “uncle Bertie,” got them both positions at the Versailles Peace Negotiations. John Foster Dulles was on the Reparations committee where he sought to take as lenient a stand as possible on Germany’s paying for its war crimes. He represented the views of the American elite, including his uncle Robert Lansing and most of the State Department, who had been terrified by the Bolshevik revolution and were determined to build Germany into a bulwark against Communism. The Dulles brothers had toured Germany during its failed revolution, spying on communists and meeting with German businessmen. Allen Dulles would even meet Hitler soon after he came to power, a fact that John Foster Dulles would envy for years. John Foster Dulles was more pro-Nazi than his brother Allen, who would later be responsible for recruiting thousands of Nazis and fascists into the CIA and helping tens of thousands more resettle all over the world. Allen Dulles at least had the sense to pretend to be anti-Nazi while working closely with the Nazis’ American backers, like the United Fruit Company and their German corporate backers, like IG Farben, before the war (and during). Allen also negotiated secret deals with the Nazi SS during the war, most infamously with the creator of the Treblinka death camp, SS General Karl Wolf. Publicly Allen Dulles would write books arguing that the US must prepare to abandon neutrality and make war on Germany while privately, like his brother, he saw the Soviet Union as the real enemy. In contrast, John Foster Dulles publicly defended Nazi Germany and helped found an America First branch in New York state that was run out of Sullivan & Cromwell’s offices. Returning to the days of Versailles: Hitler was still largely unknown, but like the Dulles brothers (spying for American intelligence), spying on German revolutionaries for German intelligence. When the revolution was crushed, Hitler helped identify communists for execution. John Foster Dulles would rise to prominence on the reparations committee, and in the process help limit the definition of war crimes and limit payments to proven cases, making himself invaluable. During the war, Turkey carried out a genocide against the Armenians; however, since it was carrying out a genocide against its own citizens, it wasn’t technically considered a war crime (under International law, war crimes were only crimes if committed against another country). Many thought a new category of crime should be developed, the crime against humanity, which would cover crimes of genocide and slavery. The Dulles brothers and their allies at the State Department were instrumental in blocking the creation of the category of crimes against humanity. This was for two main reasons. First, the United states had committed crimes of genocide and slavery which they privately admitted in letters Christopher Simpson discovered. Second, the US was eager to form an alliance with Turkey so it could get its hands on Middle Eastern oil. Hitler would mockingly ask who remembers the Armenians before embarking on his own genocide aimed at the Jews. By insuring the rejection of the category of crimes against humanity, the Dulles brothers and the State Department created legal cover for everything Hitler did to German Jews. Worse, after the war, contrary to popular myth, they made sure the vast majority of Nazi war criminals went unpunished. Once again, building West Germany into a bulwark against Communism, and the huge profits to be made off rebuilding their industry, would trump any notion of justice. Of course America would later cynically use the concept of crimes against humanity against its enemies, since it provided a convenient method of psychological warfare and rationale for violating their sovereignty, secure in the fact that it was too powerful and influential to ever face trials for its own crimes. While John Foster Dulles was working on the Reparations Committee, Allen Dulles was working on the boundary division committee. He was also secretly spying for the State Department and waging secret war on Soviet Russia. He built close ties to the future rulers of Czechoslovakia. His main contribution was to win American backing for Horthy’s fascist Hungary when, despite his supposedly low rank, his recommendations ended up on President Wilson’s desk and were partially implemented. Wilson had been John Foster Dulles’ favorite professor at Princeton, and at Versailles the Dulles brothers were very close to the President. Allen Dulles would remain at the State Department while John Foster Dulles returned to Sullivan & Cromwell. In 1924 he would be called back into government service as special counsel to the Dawes committee. He was credited with masterminding the resulting Dawes Plan whereby, to avoid Germany defaulting on its debts, America would agree to loan Germany the money to pay its reparations debts to Britain and France, enabling them in turn to pay back their debts to America. It was a sort of financial merry-go-round, winning John Foster Dulles acclaim as a statesman and generating huge business opportunities for Sullivan & Cromwell. John Foster Dulles was also instrumental in the sequel to the Dawes Plan, the Young Plan, which negotiated even more loans for Germany. In the years to follow, Sullivan & Cromwell would negotiate the contracts for over a billion dollars in private loans to Germany, of which Sullivan & Cromwell would receive a percentage. In both America and Germany there was a tiny corporate elite that served on interlocking boards of directors. In America it consisted of around 200 people who had experience working for investment banking firms like Dillon Read & Co and Brown Brothers Harriman (where Prescott Bush worked), or corporate law firms like Sullivan & Cromwell. In Germany there were around 300 business executives at the big cartels on interlocking boards of directors that controlled the German economy. These two groups would form one interlocking network as American corporations invested heavily in Germany and German Cartels attempted to buy interests in strategically valuable American companies. Some of the key American firms involved were Ford, GM, GE, ITT, and Standard Oil of New Jersey. The three main German cartels were IG Farben (chemicals, including most infamously, the poison gas used at the death camps), AEG (electricity and electronics 30% owned by GE) and Vereinigite Stahlwerks (steel) in Berlin. Sullivan & Cromwell worked closely with the law firm Albert & Westrick. One of the firm’s partners, Heinrich Albert, would later run Ford’s German subsidiary when Hitler was in power and play a pivotal role in the creation of the Christian Democratic Union Party of Adenauer and Merkel. Of course Sullivan and Cromwell were only involved with some of the above companies; I list them to give some idea of the bigger picture. John Foster Dulles’s records were purposely destroyed to conceal his guilt, but historians have been able to piece together many of the deals and they total over a billion dollars. For decades John Foster Dulles worked closely with Hitler’s financial mastermind Hjalmar Schacht. American firms invested $10 billion in Germany during the twenties. In working to build up the German war machine they were allied with the most powerful American multinational corporations and were in step with the Riga faction of the State Department which viewed the Soviet Union as the ultimate enemy and Germany as a useful tool to contain and then destroy it. Eventually the stock market would crash and the financial merry-go-round would break down. The small investors in Dulles’ German bonds schemes were ruined while the big investors got their money back. In response to the financial crisis, and to avoid the possibility of a Communist takeover, the big industrialists brought Adolf Hitler to power. He made new laws that penalized withdrawing profits from Germany. Multinationals had to reinvest their profits inside Germany. American companies had to decide whether to double down or pull out of Germany. All of the companies I have listed decided to stay and do business with the Nazis. The biggest profits to be made were in illegal re-armament and “Voluntary Aryanization”. Although the Holocaust is well-known, the financial motives and business profits to be made are not. Voluntary Aryanization was a process lasting from 1934-1938, where Jewish businessmen were forced to sell their companies for a fraction of their value. Behind the scenes they were threatened into agreeing by the Gestapo. These deals were financed by floating bonds on the world market, allowing German companies to borrow money to carry out these takeovers. They were a religiously motivated hostile takeover, immensely profitable, that allowed German corporate power to become more centralized. William Draper, at Dillon Read ,who would later be put in charge of “reforming” the German economy after the war, made a fortune off these Aryanization bonds. When the Holocaust escalated with the German attack on the Soviet Union, a new source of profits became available from slave labor. German companies competed for who could get the most slaves to work their factories, where they were worked and starved to death. American companies operating in Germany, like Ford and GM, also used slave labor. After the war, the Dulles brothers made sure these German corporations went unpunished, falsifying their records and claiming that they were the “good Germans” secretly opposed to Hitler. They were Allen Dulles’ key source of “information” and, as Christopher Simpson discovered, they funnelled a great deal of disinformation through Allen Dulles, sabotaging the war effort. John Foster Dulles hated President Franklin Delano Roosevelt and the New Deal. Despite the economic disaster he had helped bring about with his German loans, he resisted any attempt at regulation. Luckily for Sullivan & Cromwell, there was a cooler head at the firm, Arthur Dean, who realized he could accomplish more for his clients through negotiation than through temper tantrums. On learning of plans for a new securities act, John Foster Dulles walked out of the meeting, while Dean would work with the people drafting it, negotiating each point, until, in the end, he was co-author. Like John Foster, Dulles’s crafting of the Dawes Plan, Dean’s work on the 1934 Securities Act would generate decades of business, as corporations were eager to hire the firm that had helped create the act. Bureaucracy and red tape were good for business if you were a law firm employing an army of associates to do the paperwork. As for John Foster Dulles, given his ties to some of the key players, he may have been involved in the “bankers’ plot” that attempted to overthrow FDR in a coup exposed by General Smedley Butler in time to stop it, although the perpetrators, Morgan, DuPont and friends, went unpunished. After World War II broke out Allen Dulles went to work for the OSS with his old friend William Donovan. John Foster Dulles continued at Sullivan & Cromwell and continued to defend the Nazis under the guise of working for peace. In Bern, Switzerland, Allen Dulles began to establish contacts with all his old friends in German industry and engaged in back channel negotiations with Nazi intelligence. He ran covert ops all over Europe. Although he created the legend that he was a master spy, in reality he was terrible at secrecy. Within weeks of his arrival, the fact that he was there as an intelligence agent was revealed in the Swiss press, and he accidentally exposed many of his agents by naming them in his telegrams. Most of the information he collected was worthless, since the Germans were funneling him misinformation. In reality he was there to look after the business interests of his old clients and to scheme for a separate peace with Germany, in defiance of President Roosevelt’s orders. In the Dulles brothers’ eyes, the only “bad Germans” were the communists and anti-fascists who had resisted the Nazis. As the war drew to a close, Allen Dulles’s schemes would spark the Cold War. Using the Vatican as intermediaries, SS General Karl Wolff contacted Dulles. Operation Sunrise had begun a secret deal between the OSS and the SS that aimed to give the allies a foothold in central Europe. Soviet intelligence had Allen Dulles under close surveillance and had moles in German intelligence. FDR and Stalin exchanged angry letters when the Russians discovered that America was breaking its promise not to seek a separate peace. This is the moment that the Cold War began and, contrary to myth, Operation Sunrise did not shorten the war. It offered an excuse for the US to protect the SS from justice, and for years the Americans would protect their genocidal allies. The scheme would also bear fruit later when Trieste, the city the Nazis planned to deliver to the Americans, became an early Cold War flash point. Dulles would work hard as the war ended to cover up the crimes of the German industrialists who had made huge profits off slave labor. Historians have pretended that this cynical sociopath was merely naive in viewing every German war criminal as a “good German”, failing to understand that in the Dulles brothers’ eyes, the only “bad Germans” were the communists and anti-fascists who had resisted the Nazis. After the war in Europe ended, Dulles was made OSS chief of station in Berlin, where he worked closely with Reinhard Gehlen, getting his network of Nazis and fascist death squads rolling again. However, after only three months, Truman disbanded the OSS and Allen Dulles seemingly returned to civilian life. In reality, he seems to have been involved in a sort of ‘off the books’ intelligence network in this brief period between the disbanding of the OSS and the foundation of the CIA. Truman, a bigoted war criminal, had perhaps one redeeming quality: a distrust of the intelligence agencies. However, as with all Presidents, it was really his advisers who were in charge, and so he was pressured into agreeing to create the CIA. Allen Dulles and his friend Donovan were responsible for this scheme, and Dulles wrote the blueprint for the CIA behind the scenes of the Jackson and Correa Commission, and then helped draft the National Security Act that would give birth to the CIA. However, because of Truman’s distrust, he would have to wait before heading it. Allen Dulles was closely involved with founding the OPC (the innocuously titled Office of Policy Coordination which carried out a campaign of psychological warfare and covert war worldwide), headed by Frank Wisner. Allen Dulles helped him rig the 1948 Italian election. With the war against his friends, the Germans, Japanese and Italians over, John Foster Dulles was able to quickly drop the facade of peacemaker, advising moderation and becoming a fire-breathing cold warrior. He also briefly served in the Senate, a consolation prize from his friend Governor Dewey after he failed to win the Presidency in the 1948 election, dashing Foster’s hopes at becoming Secretary of State that year. However, Foster lost to a new dealer. His red-baiting and anti-Soviet chest-beating proved futile. He managed to become the top GOP foreign policy expert and leveraged that into a return to the State Department. He negotiated a Peace treaty with Japan that fraudulently concluded they were too poor to pay reparations, while they were secretly sitting on tons of gold – – gold his brother Allen was helping to hide as part of the Black Eagle Trust. John Foster Dulles played a mysterious role in launching the Korean war, visiting the country shortly before an attack by South Korea would provoke a counter attack by North Korea that most historians still pretend was an unprovoked invasion (ignoring the work of I.F. Stone and Bruce Cumings). Allen Dulles was able to worm his way into the CIA once Walter Bedell Smith became director. Allen Dulles headed covert ops, then became the deputy director. In 1952 Eisenhower was elected, and the Dulles brothers were finally able to achieve all their ambitions. John Foster Dulles was able to follow in his grandfather John Foster and uncle Robert Lansing’s footsteps, becoming Secretary of State. Allen Dulles was appointed Director of the CIA. It would take a book to do these years justice, as one would need to write the history of the first third of the Cold War, so thoroughly did the two men shape events. John Foster Dulles was almost single-handedly responsible for launching the war in Vietnam when he decided to ignore the 1954 Geneva Accords. Allen Dulles carried out coups for Sullivan & Cromwell clients in Iran and Guatemala. In Iran he overthrew the democratically elected Mohammad Mossadegh on behalf of Sullivan & Cromwell client, Anglo-Iranian Oil (renamed BP after it was forced to share control of Iran’s oil with the American oil cartels following the coup). The Shah was installed and the CIA and Mossad helped train his brutal secret police, the Savak, who would torture and murder thousands of Iranians to protect their corrupt Shah. In Guatemala, the reformer Jacobo Arbenz was overthrown when he tried to carry out a mild land reform that angered Sullivan & Cromwell client, United Fruit Company (which, like Sullivan & Cromwell, had carried out coups in its own right). A brutal string of military dictators would follow, killing 200,000 Guatemalans in the decades to come; their descendants control the country today. United Fruit Company also maintained close ties with organized crime, as did their patron, Governor Dewey. These are only a couple examples of the ruthless imperialist policies they carried out which led to millions of deaths worldwide and ruined the chances of billions to escape from crushing poverty. The Cold War was not about preserving democracy. Democracies were routinely overthrown to make way for brutal dictators who would serve the interests of multinational corporations. The Cold War was a war of the rich against the poor, which is why it is unsurprising that nearly all the men who ran America’s foreign policy were either corporate lawyers or investment bankers. 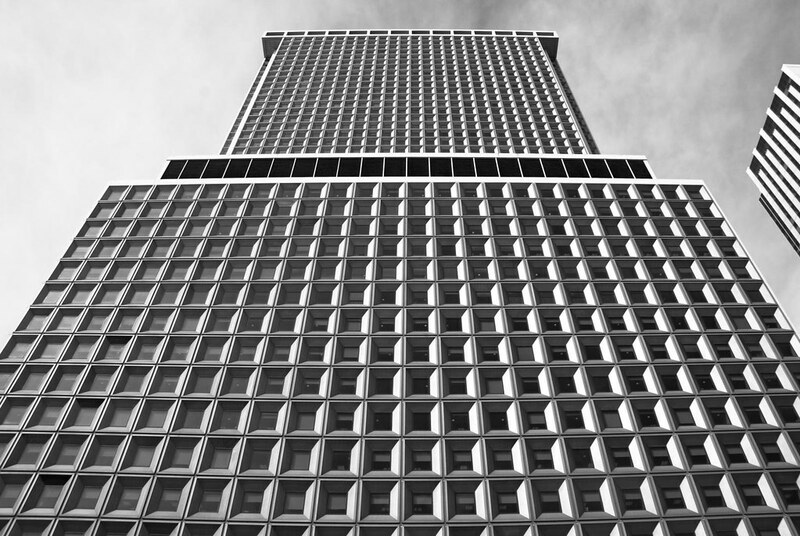 Sullivan & Cromwell continued on through the decades, working tirelessly on behalf of corporations. They engineered mergers and defended against and launched hostile takeovers. They insured the survival of predatory banks like Goldman Sachs so that they could continue to loot the world economy. Thanks to Allen Dulles, they no longer needed to carry out coups on behalf of their clients. Now there was a permanent CIA to carry out their will across the globe. Its power grew so quickly, beyond any control, that soon President John F Kennedy could be murdered in broad daylight, while other Presidents (Nixon and Carter) were toppled in soft coups. Allen Dulles would be called upon to cover up the Kennedy assassination as part of the Warren Commission. Many believe he personally ordered the death of John F. Kennedy, who had fired him after the failed “Bay of Pigs” invasion of Cuba. John Foster Dulles had the good fortune to die with his reputation intact. He died in 1959 of cancer a month after resigning as Secretary of State because of his deteriorating health. He was given a hero’s burial. Sullivan & Cromwell expanded across the globe and is still the most powerful corporate law firm, launching Japanese multinationals onto the world market, and a trendsetter in devising strategies for hostile takeovers. A Law Unto Itself only covers the firm up to the 1980’s, but one tantalizing detail reveals that the interlocking worlds of corporate law and intelligence are still as connected today. Peter Thiel works closely with the CIA venture capital firm In-Q-Tel. He helped fund the creation of Facebook, which has taken it upon itself to censor the Internet on the advice of the Atlantic Council. Peter Thiel got his start at Sullivan & Cromwell. Today we all live in the world Sullivan & Cromwell helped create; a world where corporations are above the law. A world where the rich get richer and everyone else is steadily impoverished. A world haunted by the ghost of Allen Dulles as coup after coup terrorizes nations, the media engage in endless psychological warfare, fascists are installed in power to wage war on Russia, the empire assassinates people with impunity, endless covert and overt wars escalate, and another round of Cold War madness is sweeping the globe. While Sullivan & Cromwell may have helped to create a world of misery, torture, horror and madness, it is we who must live with the consequences. A Law Unto Itself: The Untold Story of the Law Firm Sullivan & Cromwell by Nancy Lisagor & Frank Lipsius reveals the first hundred years of Sullivan & Cromwell’s history and makes for fascinating reading. The Splendid Blond Beast: Money, Law, and Genocide in the Twentieth Century by Christopher Simpson is a groundbreaking masterpiece dealing with the Dulles Brothers, American Business ties to Nazi Germany, German corporations profits from genocide, International Law, and the Holocaust. A Pretty Good Club: The Founding Fathers of the US Foreign Service by Martin Weil is another must read book on the American elite and the State Department. I also highly recommend The Old Boys: The American Elite and the Origins of the CIA by Burton Hersh. The name pretty much says it all it contains an in depth discussion on the relation of law and intelligence and is the definitive history of the origins of the OSS, OPC, and CIA.